← Is There Another “Son of God”? Prayer is a privilege provided for people who belong to God. While Jesus provided a model for us and the Bible gives us some direction regarding the nature of our prayers, we should not come to God fearfully or cautiously. 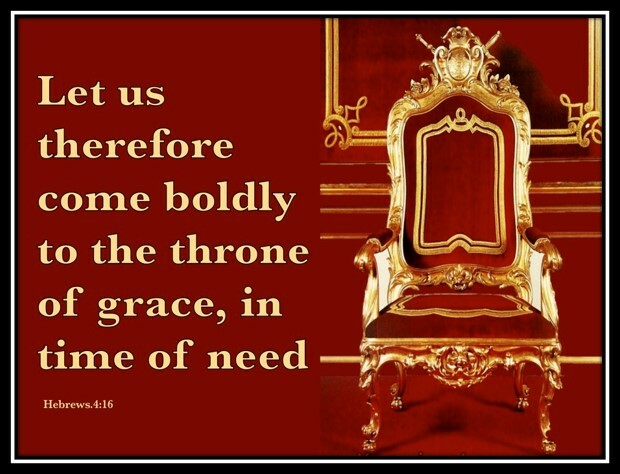 In one of the great Bible verses, the Hebrew writer exhorts us, “Let us, therefore, come boldly to the throne of grace, that we may obtain mercy and find grace to help in time of need” (Heb. 4:16). We often think of prayer in terms of humility, reverence, and submissiveness. While these attributes and attitudes are appropriate, there is a sense in which we approach God with boldness. This doesn’t mean a disrespectful brashness, but with a confident assurance that God cares. God hears. And God answers prayer. Jesus identifies his humanity. He was a man. He was born, lived and died in the fleshly body. He knows our feelings. He understands our fears. He empathizes with the feebleness of our flesh. He was tempted, tried and tested just like we are. Yet without sin. “Son of God” affirms His Deity. He was and is God. He came from the bosom of the Father. He served as the co-creator. He shares in the qualities of Godhood. He is holy. Just. Righteous. And impartial in his love, mercy, and grace. This God-man thus occupies a unique position. He is our intercessor. Our mediator. Our “great High Priest.” He has ascended to “the throne of grace.” And allows us to approach Him there. In the Old Testament, the common people could not enter the holy precincts of either the tabernacle or the temple. Even the Priest stopped at the veil. Only the High Priest could enter the Most Holy Place and come to the mercy seat. But Jesus invites us to bravely, fearlessly and courageously come “to the throne of grace. In another passage, Paul tells us not to worry about anything, but to pray for everything (Phil. 4:6-7). God cares about daily concerns. Our spiritual struggles. Our physical ailments. Our emotional conflicts. Our mental battles. Our great High Priest understands the relationship issues we face. The problems we encounter with difficult people. The challenges in our families. The rejection of our friends. And the accusations of our enemies. He knows how we hurt. He, too, has felt the pain. Shed tears. Endured loneliness. And suffered in deep sorrow. No problem is too big for God. And no concern is too small. And, so He calls us to come. Come to the throne. Come with confidence. And come to be showered with grace and lavished with mercy.